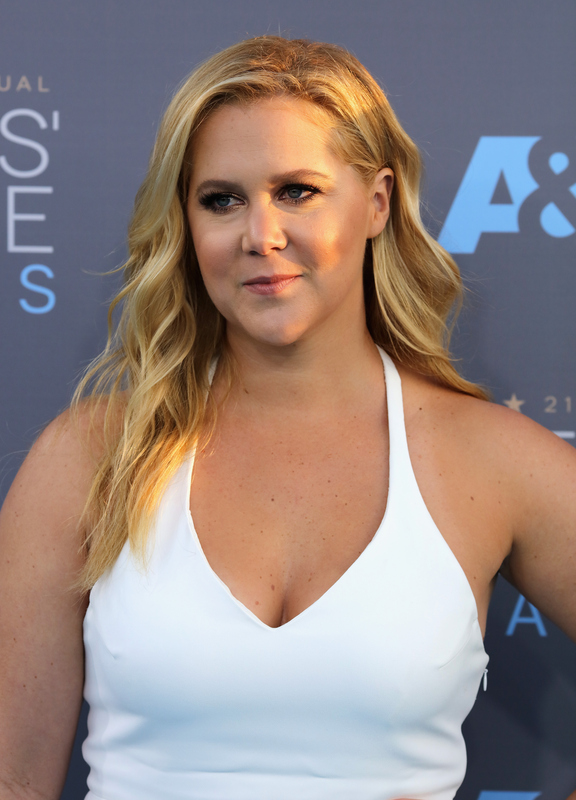 Amy Schumer doesn't care if you like her. She makes this very clear in the interview for her cover for Vogue. It's not because she's apathetic or anything; it's that the comedian doesn't want to waste time worrying about something as inconsequential as likability when she could be changing Hollywood for the better. "Like, I don’t want to play the game and succeed at it," she told the magazine. "I want to redefine it." She knows she's not your typical starlet, but it's part of the reason we like her so much. She's a hustler, baby, and she wants you to know she'll do whatever it takes to do what she loves. Right now, it's bringing comedy that is both feminist and funny to a mainstream audience. Schumer goes on to tell Vogue that redefining things is "the only way I can deal" with the Hollywood construct — which, as she explains, can be a bit soul-crushing. "Maybe that’s naive," she says. But it's not naive; it's working. Schumer is doing things her way and seeing results. With all of her success, she shows that you can throw away the old rulebook and making a new on of your own choosing. She's made Hollywood stop and notice her, while also forcing them to take a good hard look at themselves. Here's how she's done it. Schumer is proud of her body. She even admits in Vogue that she lost weight for Trainwreck, but swears she wouldn't go on a diet again. Instead, she seems to have made it her mission to be whatever size she pleases, which also happens to be a size many women are. She gets this point across by joking about Hollywood's aversion to women who weight more than 140 pounds, saying it “like, hurts people’s eyes.” The comedian wants to show that you can be beautiful at any size, and don't have to be described as "brave" for choosing to show it off. Schumer isn't waiting around for someone else to write something funny for her to say. Unlike Trump, she really does have all the best words. And she's using them to talk about what's important to her. She knows she's not your typical leading woman, but when you produce and write your own movies, you definitely get to star in them. She's written an action mother-daughter comedy that has her teaming up with Goldie Hawn, and promises that she's going to film that script she did with Jennifer Lawrence which has them playing sisters. Women have to stick together, and Schumer seems to fully understand that. She not only works alongside her younger sister Kim, but her show is filled with women who are funny, talented, and deserve to be known. Most recently, Schumer presented a comedy special from her friend Rachel Feinstein. She's not afraid to use her name to help others she believes in. She understands the power she has, and uses it for the good of womankind. To make sure she's doing comedy that is new and exciting, Schumer doesn't hire writers who have been writing jokes for years. According to her Vogue interview, she instead hired her sister, and others who had little experience in the TV writing game. This unconventional move paid off and earned her an Emmy. Schumer wants to be an activist who is also funny. Last July, after a shooting in a Lafayette, Louisiana movie theater playing Trainwreck left two women dead, she took action, teaming up with her cousin and New York Senator Chuck Schumer to call for stricter gun laws. She didn't care if such a move would lead some people to stop being fans; she just wanted to do what was right. As Vogue points out, her serious and hilarious jokes about gun safety have led to some anger in red states. At a show in Minneapolis, two people were even thrown out for heckling. Vogue says that Schumer can come off as blunt, which some may perceive as rude. But as her previous quote makes clear, she's not afraid of conflict and says what's on her mind, even if you don't really want to hear it. This trait, which may be "unlikable" to some, is what makes her a strong voice in Hollywood. She's not interested in apologizing to win people over. She wants people to know who she is and do what they want with that information. If that means you don't want to watch her show, so be it. Schumer proved this after posting a message in which she explained why she wouldn't be taking photos with fans anymore. After one rude fan forced her to take a photo despite her saying she didn't want to, she felt scared enough to take action. Blame that guy for this no selfie rule, not Schumer. Schumer told Vogue that one way she doesn't get caught up in all the Hollywood hoopla is by staying out of Hollywood. By living in New York, she can stay grounded and not get caught up in the glitz and glamour. Staying down to earth helps her comedy remain relatable. Schumer is a stand-up at heart, so even with all her movie and TV success, she still travels around the country doing comedy. She has also stayed very close to her stand-up friends, who can be seen almost weekly on her show and made cameos in her movie. Schumer told Vogue that she is an "unequivocal" supporter of Hillary Clinton, who she thinks does so much despite the fact that the media will get so caught up on what she's wearing. “She does all this f*cking work,” Schumer said, “and she’s just trying to do good, and people are like, Pearls? To that event?” It makes sense that the comedian would look to a woman who did so much to change the way Americans look at women in politics. To be a better creator, you have to feel good about yourself. And this isn't about looks. This about mental, emotional, and physical health. As Vogue reported, Schumer is a devotee of Transcendental Meditation, which is used to help people find inner peace. She does weekly acupuncture sessions and doesn't mess with caffeine. The reason Schumer's comedy seems to reach so many people is that, even while talking about the problems we all face, she finds a way to make them optimistic. To let everyone know that it's OK to laugh when bad or uncomfortable things happen. It's all a part of life, and it's something we shouldn't be hiding, but talking about together. She mentions her dad, who was diagnosed with MS when she was a kid. "My dad, he sh*t himself in an amusement park during the early stages of MS. And it was such a horrible experience to be 13 and to be standing there and my dad all of a sudden is not wearing pants," she told Vogue. "But in our family we die laughing about it because it’s so awful that it’s funny. I just want to get absolutely everything out of life, but I wouldn’t be surprised if I wound up paralyzed.” Sure, that's a pretty apocalyptic look at life, but it explains why Schumer isn't interested in just going through the motions of life. She's ready for a change and wants to use her time on earth to achieve it. There isn't one way to make it in Hollywood — something Schumer is proving. Perhaps we should all want to take a page from her book and do whatever we feel is best to earn success, not what everyone else is doing. It seems to be working just fine for her.